We have it drummed into us on regular occasions that for our bodies to remain healthy, we need to drink at least eight glasses of water per day. Water offers many benefits to our bodies and minds and without it, we will die. However, there are new studies that show water does more for us than just keep us at our physical peak. Studies were carried out in the Human Performance Laboratory at the University of Connecticut and results were published in November 2012 in the British Journal of Nutrition. The results show that drinking the required amount of water can actually make you more pleasant to be around as well as functioning better mentally. It was found that even if the dehydration is mild, energy levels, mood and the ability to think clearly are affected. If you are guilty of reaching for tea, coffee, juice or soft drinks rather than filtered drinking water, then you should reconsider your decision, especially in the hotter months when your body needs hydration the most. 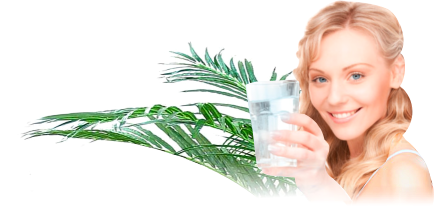 When women are dehydrated they suffer from headaches, which is quite commonly found in dehydration, but they also find it hard to concentrate and become quite fatigued. Some of the tasks women may undertake can seem more daunting and difficult to achieve when they are dehydrated. Women also experience poor moods and more tension. Men find mental tasks more difficult when dehydrated. The working memory and areas of vigilance are affected. Anxiety, tension and fatigue are also present in men who are dehydrated but not as much as in women. The best way to battle dehydration and the detrimental effects on our minds is to ensure we are keeping hydrated with plenty of clean, fresh drinking water. Pacific Springs offer a fantastic range of filtered water products and water purifiers to ensure you get the very best drinking water possible. The friendly team at Pacific Springs can discuss with you the different options they have available, such as water bubbler stations, filtration systems and bottled water delivery within Brisbane area. Contacting them today will provide you with the very best mind and body nutrition available. Contact Pacific Springs today or visit them online at https://pacificsprings.com.au/ to see what they have available. Their simple ordering and delivery service means it is a simple and easy way to keep healthy, clean water available at home or at the office. This entry was posted in Drinking Water, Water Health and Safety (OH&S) and tagged dehydration, water delivery by Teala. Bookmark the permalink.